It wasn’t long ago that the mere thought of a ‘smart home’ conjured up images, reminiscent of a science fiction novel. Today, smart technology has infiltrated our homes in countless ways, making them more accessible and safer, especially for approximately 20% of American women who are living with a disability. It is important for women in wheelchairs to make their homes accessible, in order to remain as independent, as possible. 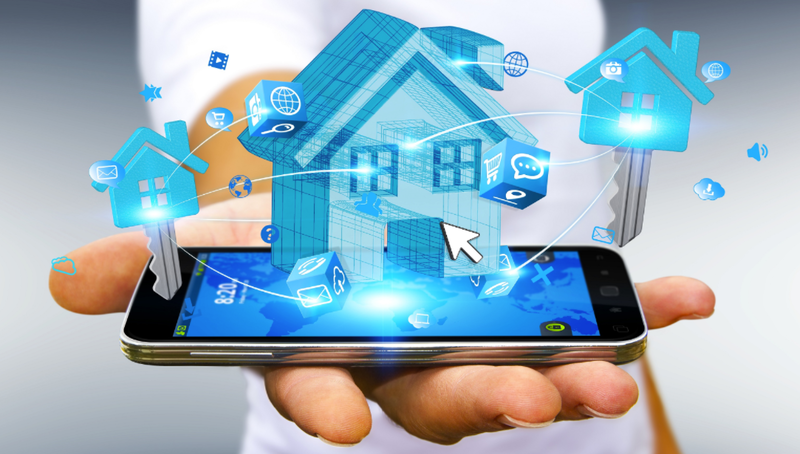 Achieving such a level of accessibility, is becoming increasingly easier, thanks to smart home technologies that makes it significantly more attainable to make any dwelling substantially more accessible. The popular Alexa and Google Home smart speakers, have become technology that has revolutionized life at home! These voice activated devices can perform essential tasks such as ordering groceries, turning lights on and off, even adjusting a programmable thermostat. At a reasonable price considering the benefits, they can provide an unbelievable amount of independence. Smart locks, smart doorbells, and fully-integrated smart home security systems are making homes across the USA, safer than ever before. A smart lock is considered to be a better alternative to a keypad, especially if you need to give various people varying degrees of access to your home. 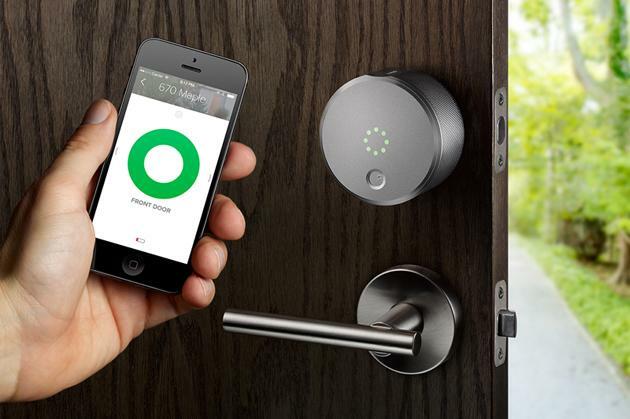 A smart lock which utilizes a user’s smartphone as a key, pairs very well with a smart doorbell, which will allow a wheelchair user to view exactly who is approaching the door, via an app on a cellphone. A fully-integrated safety system, will generally couple a smart lock and doorbell with a set of surveillance cameras which can be accessed remotely, always allowing a wheelchair user a full view of the perimeter and interior of the home. When you spend the majority of your time in a wheelchair, it is often the small, every-day tasks that are the most difficult to accomplish. Things as simple as opening and closing your blinds or making a cup of coffee, can be very testing at times. Smart window coverings that can be operated either via a remote or a smartphone app makes it easy for a wheelchair user to open and close curtains, blinds, and shades literally at the touch of a button. Getting out of bed in the morning is never an easy feat, unless you have a freshly-brewed cup of coffee waiting for you. There are a range of smart coffee makers on the market that can be programmed in such a manner to ensure that you start your day, in the right way – with a cup of hot coffee. Even in a kitchen that is fully-accessible, it can be quite difficult to maneuver between the sink, the kettle, the kitchen cabinet where your coffee and sugar are kept, and the fridge. Investing in a smart coffee maker will end up saving you a lot of time and frustration, at the end of the day. Vacuuming & Mopping – Ugh! Most of us have heard of robotic vacuuming but maybe not the latest mind-blowing features that are now available to the mainstream market. 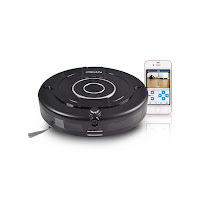 These technological helpers have intelligent sensors to navigate around and under furniture, suctioning up dust, dirt and hair, not to mention, even knows when to return to its docking station, to recharge the batteries. Complete with wi-fi technology, it can be operated and programmed through your smart phone or activated through Alexa and Google Assistant. If you really want to be involved, some robotic vacuums come with a built-in camera, enabling you to see in “real-time”, what it sees, all while controlling it’s movement from an app on your smart phone! Mopping can also be a frustrating, awkward, labor intensive task, especially while propelling a wheelchair but now you can relinquish this daunting chore to robotic mop! They generally come with reservoirs that you need to fill up with water and/or cleaning solution, and microfiber cloths that scrub your floors to pick up dirt. There are single purpose robotic mops that can dry sweep your floor first then mop or the hybrids that can execute both the vacuuming and mopping! These are just a few of the many possibilities for smart home technology and more and more options are becoming available every day; truly is thrilling for mobileWOMEN, who cherish their independence. By investing in smart gadgets such as those mentioned above, safe convenience is never more than a few button presses or voice commands away.